Overnight, a church in Indianapolis made headlines with a bold message regarding America’s current zero-tolerance immigration policy. 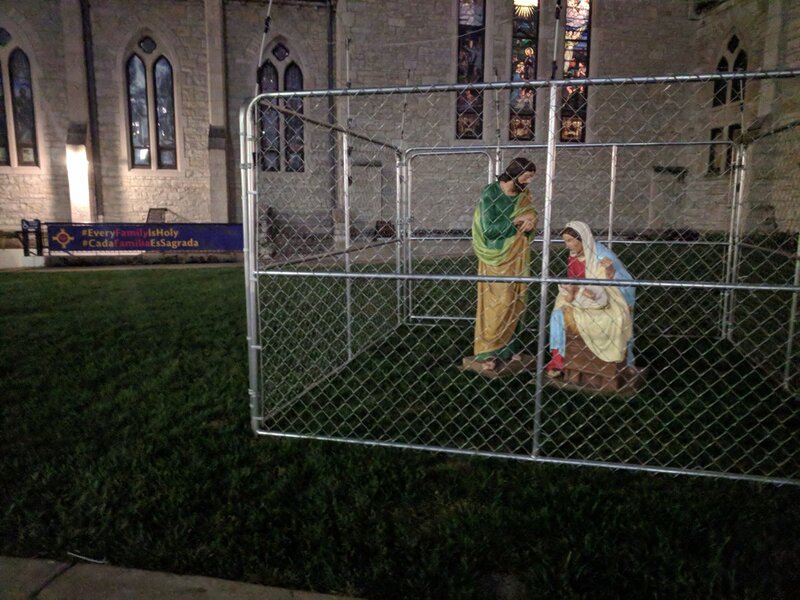 Christ Church Cathedral, a 161-year-old episcopal institution located in the heart of Indy’s downtown at Monument Circle, put up a display on their lawn showcasing the statues of Mary, Joseph, and Jesus fenced inside a cage topped with barbed wire. The image calls attention to idea of The Holy Family as refugees seeking asylum from Egypt. In addition to the display, the church placed a banner on their grounds that reads #EveryFamilyisHoly and the equivalent in Spanish, #CadaFamiliaEsSagrada. Church officials haven’t specified exactly when the display will come down, but they’ve suggested it could remain up as long as families are detained.